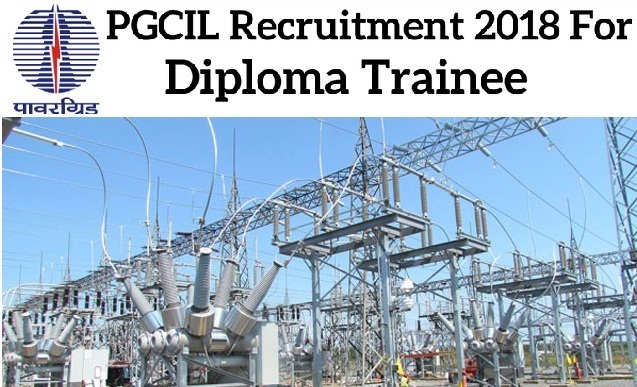 PGCIL Recruitment 2018-2019 Apply Online Application Form for 39 Diploma Trainee (Electrical) – SDT, Diploma Trainee (Civil) – SDT, Junior Officer Trainee (HR) – SDT Posts Apply Online through Official website www.PGCILindia.com. PGCIL Diploma Trainee, Jr Office Trainee Jobs Notification 2018 Released. The last date for submission of Online applications is 30.04.2018. PGCIL-39 Diploma Trainee Recruitment 2018 @ Diploma – Apply Online, PGCIL pattern of examination, PGCIL Syllabus, PGCIL Question Paper, PGCIL Admit Date Release Date, PGCIL Exam Date, PGCIL Result Date are given below. Candidate’s Age Limit Should not exceed 27 Years. The Upper age limit is relaxed by 5 years for SC/ST; 3 years for OBC, 10 Years for Persons with Disabilities (15 years for SC/ST PWD’s & 13 years for OBC PWD’s) and for Ex-S as per Govt. of India rules. Candidates Relaxation in Upper Age limit will be provided as per Govt. Rules. Go through PGCIL official Notification 2018 for more reference. Log on to PGCIL Careers Page at official website to www.PGCILindia.com.